The additional roof had sprung leaks and after an inspection it was clearly evident there was no roofing felt present at all. The whole roof had to be removed and renewed trying to keep as many as the existing plain clay tiles as possible. We also found evidence of woodworm present so in order to ensure there were going to be no problems in the near future we treated all existing roof timbers. A breathable pitched roofing membrane was than installed and 25mm -38mm timber roof battens fitted at 90mm apart. We did manage to save around 95% of the existing tiles which was great for both us and the customer. The lead flashing also got renewed and the whole roof is now water tight . The customer was extremely happy with all aspects of the job and so were our team. 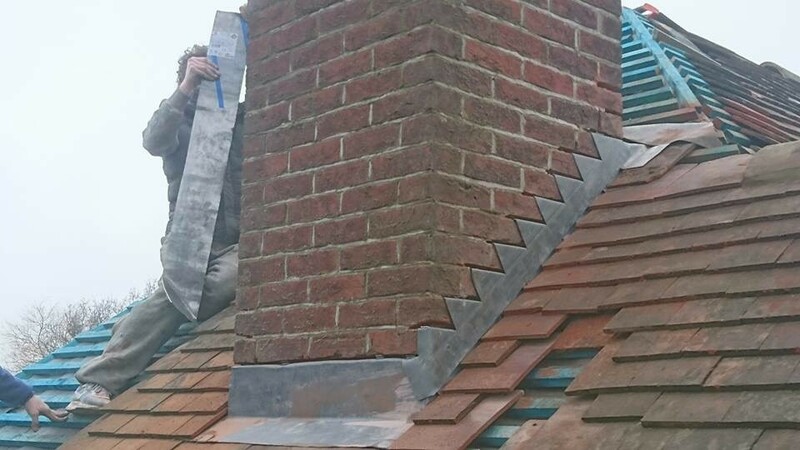 If you have any roofing projects that you would like to get up and running please contact us in order to obtain your free written no obligation quotation. Please feel free to contact us if you would like any professional advice.